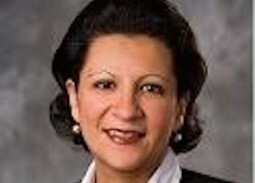 Dr. Carolyn M. Youssef is the Redding Endowed Chair in the College of Business at Bellevue University, a core faculty member in the PhD in Human Capital Management program, and a senior research associate of the Human Capital Lab. She is the co-author of Psychological Capital: Developing the Human Competitive Edge [Oxford University Press, 2007], and a leading researcher, author, speaker and consultant on developing and managing positivity in the workplace. Dr. Youssef’s work has been extensively published in and cited by top tier journals and prestigious publications. She currently serves on the editorial board for the Journal of Leadership and Organizational Studies and the Journal of Behavioral and Applied Management, and as an ad hoc reviewer for numerous other journals and book publishers. She also serves as a voting member on the U.S. Technical Advisory Group (TAG), designated by the Society for Human Resource Management (SHRM), the American National Standards Institute (ANSI), and the International Organization for Standardization (ISO) to create and represent the United States’ view on global HR standards. Dr. Youssef has also worked in various capacities with global organizations such as Unilever, Shell Oil, United States Agency for International Development (USAID), Thomas Cook and others. Dr. Youssef earned her bachelor’s in Business Administration and her MBA from American University in Cairo, Egypt. She earned her Ph.D. in Management from the University of Nebraska, Lincoln.